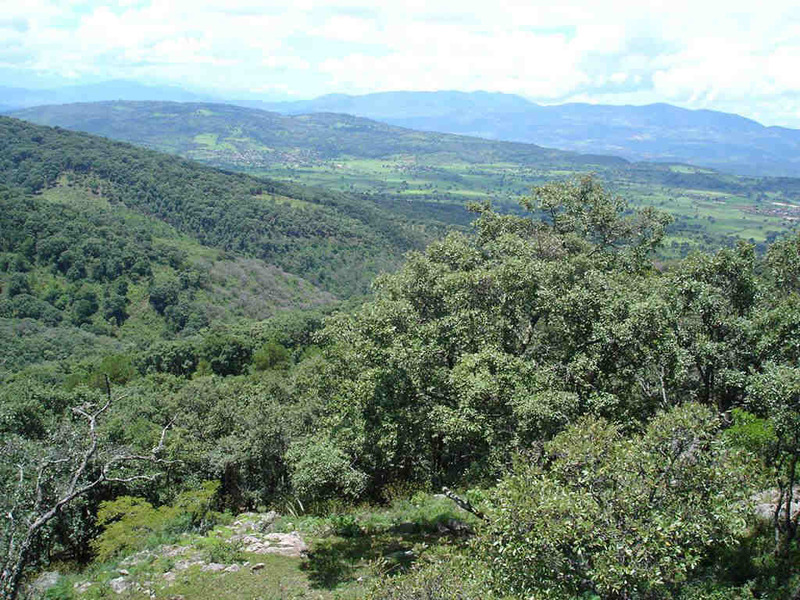 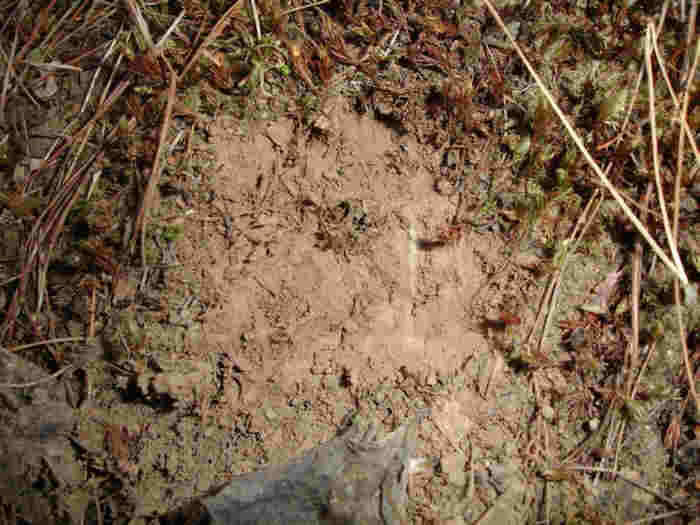 Discovering P. oblongiloba in habitat in Michoacan, Mexico. 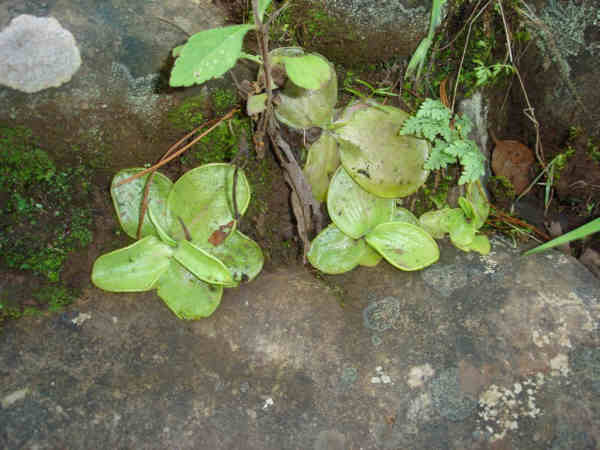 Pinguicula oblongiloba can be found growing on a mountain near Jiquilpan, Michoacan state in Mexico on the north side. 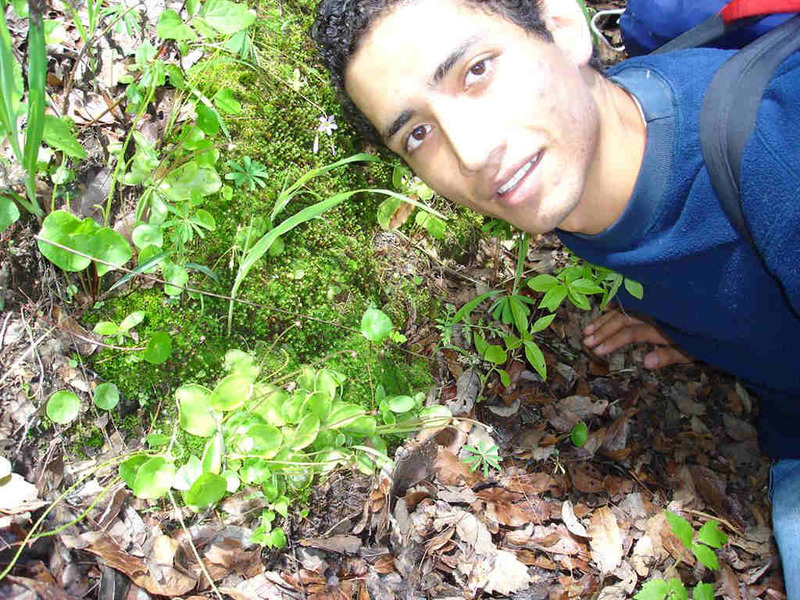 Reaching the site take about 3 hours of walk. 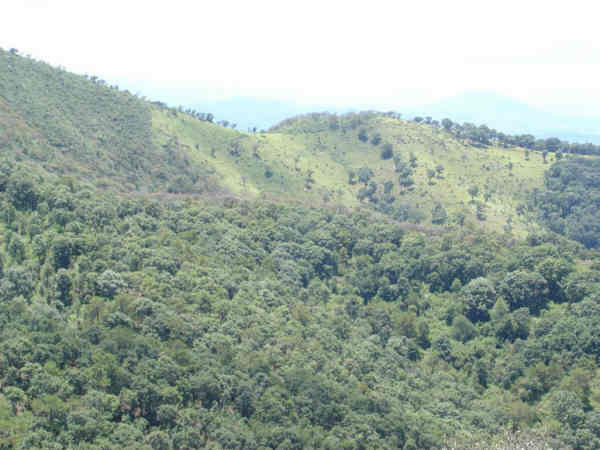 P. oblongiloba grows there at altitude of 2500 m over sea level. Jiquilpan have an altitude of 1500 m.
Here are the pictures from the field trip of Carlos Cuellar Maravilla. Pinguicula oblongiloba in habitat in July (29/07/2005). The habitat of Pinguicula oblongiloba in Jiquilpan, Michoacan, Mexico, 2500m. 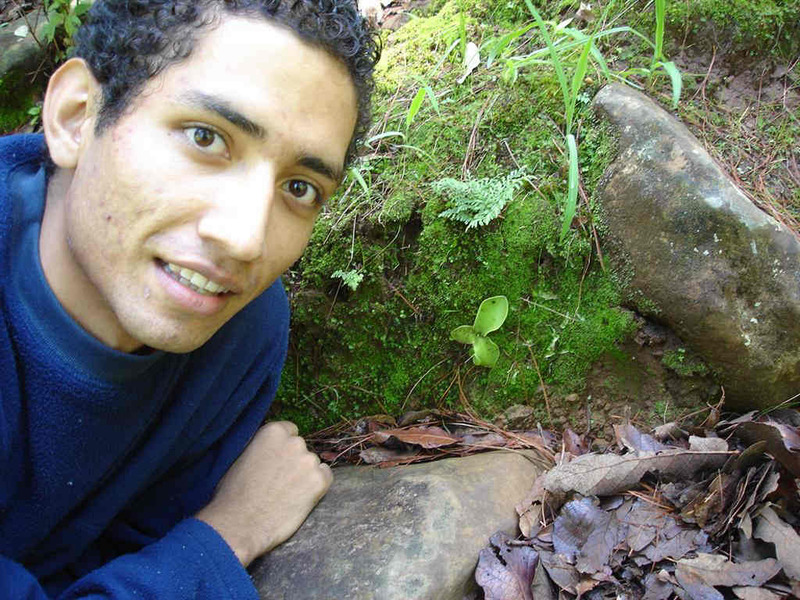 Carlos posing in front of a single Pinguicula oblongiloba. 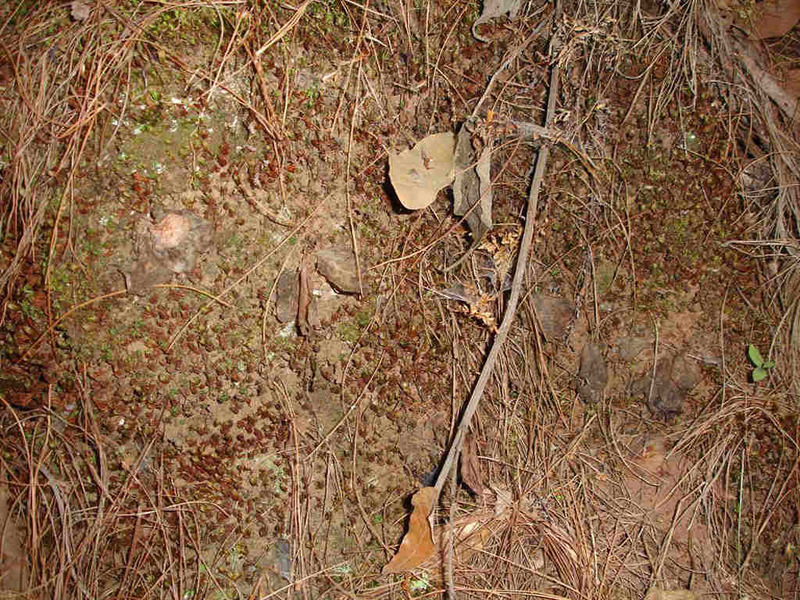 Cluster of Pinguicula oblongiloba in habitat. 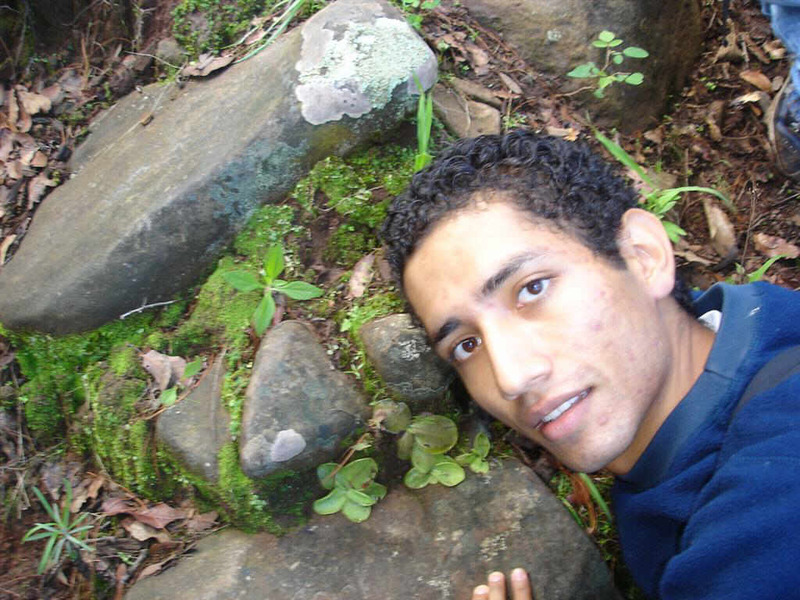 Carlos posing in front of Pinguicula oblongiloba. 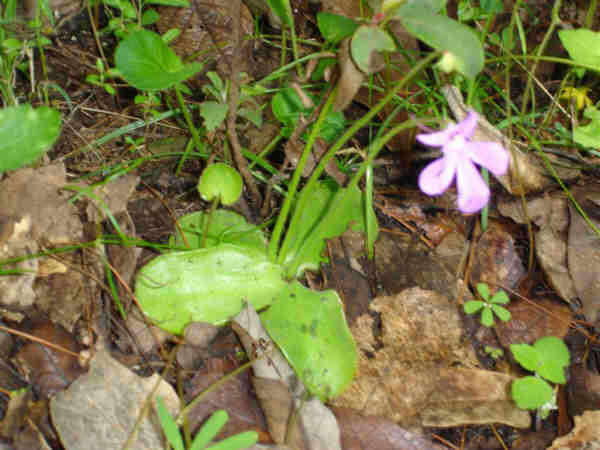 Pinguicula oblongiloba flowering in habitat. 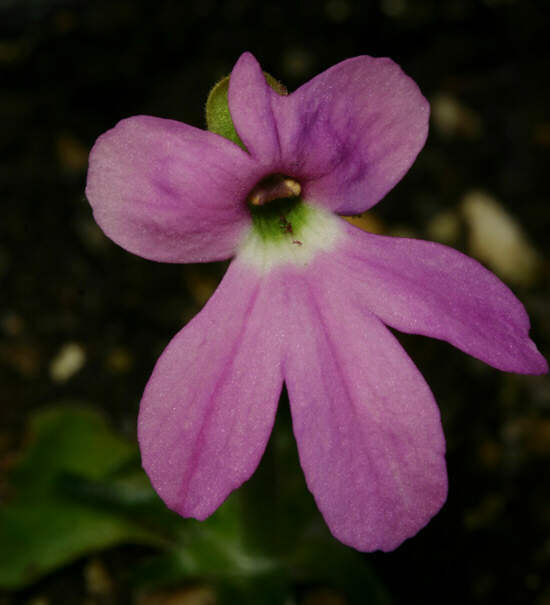 The flower of Pinguicula oblongiloba in culture. Pinguicula oblongiloba in habitat in December (3/12/2005). Pinguicula oblongiloba during the resting period : a buried bulb. Pinguicula oblongiloba during the resting period : a buried bulb. 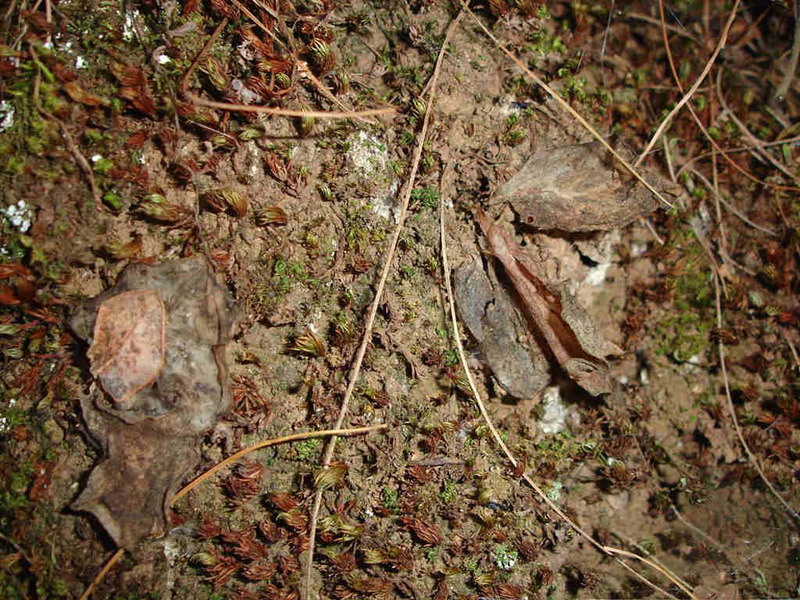 Note the remaining dried summer leaves. 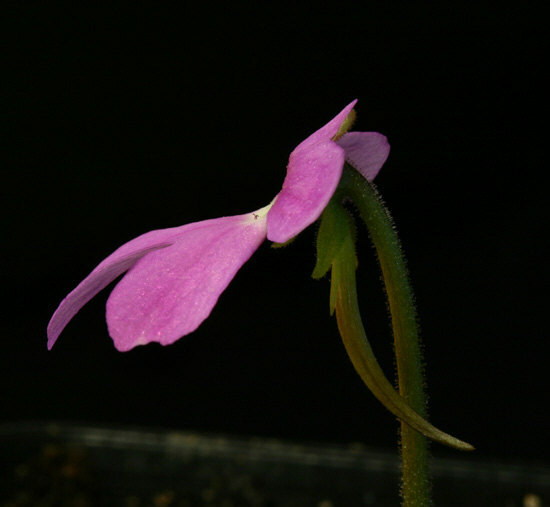 Pinguicula oblongiloba during the resting period : a buried bulb. 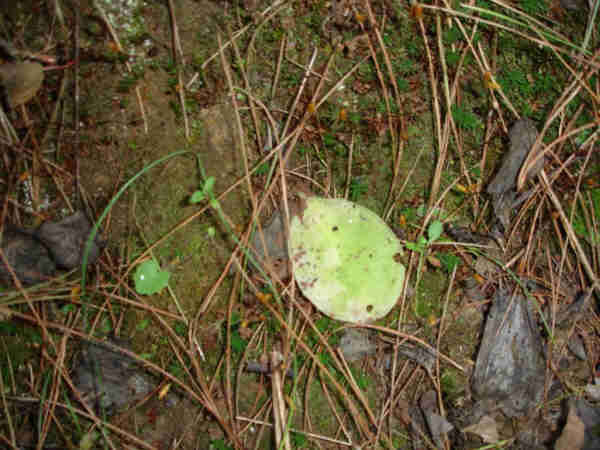 Note the remaining summer leaf.